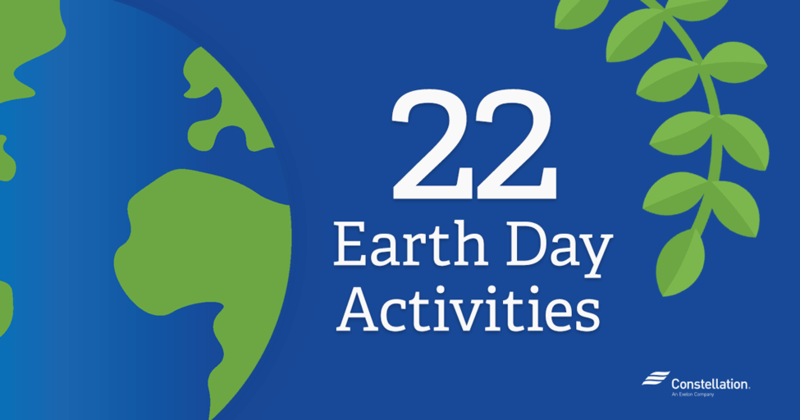 To celebrate Earth Day on Saturday, April 22, we’re celebrating with 22 Earth Day activities that can help you make a positive impact on your environment. Across the world, people are giving back and doing their part to help the planet. Whether you’re looking for Earth Day activities for work initiatives or just some simple Earth Day activities for adults who care about the planet, our project ideas will inspire you to do your part to give back to the Earth. Analyze your personal impact on the planet. As you start to consider Earth Day activities for work or at home, start by taking a long, hard look at your current energy usage. There may be some simple ways that you can create a more sustainable lifestyle. Be an advocate. Write letters to local politicians to voice your support for environmental causes. Sign online and offline petitions that support the environmental needs of your local community and the world as a whole. Lend a hand to a local eco-friendly charity. Volunteer your time to help support local efforts to protect the environment. They may need people to staff tables at events, manual labor during planned Earth Day activities, or other support. Sign up for a class. There are lots of local Earth Day activities for adults that feature classes on recycling, gardening, composting, and more. Check with local environmental organizations to see what is available in your area. Plant a tree. While this seems one of the simplest Earth Day project ideas, the act of planting a tree has so many benefits. You’re creating a new habitat for wildlife, helping to clean the air, and replacing resources that have been used. Start a garden. Gardening has lots of benefits that help to give back to the earth. Adding gardening to Earth Day activities for adults will help you to clean the air, eat sustainably, and even help reduce erosion. Have a dinner party. Invite your friends over and serve local, organic foods for a delicious, nutritious meal that features sustainable, healthy options while you chat about Earth Day activities. For work, you can have a potluck lunch, with the rule that everyone’s dish must be farm-to-table food. Join a cleanup. There are lots of Earth Day activities that involve cleaning up parks, beaches, river and stream banks, and more. Go on a hike. Spend some time simply getting outdoors and remembering why it’s so important to celebrate Earth Day and protect our world. Donate art or craft projects. Create Earth Day-inspired arts and crafts, then donate your efforts to local events to help raise funds for eco-conscious activities. Clean out a closet. Everyone has some usable items lying around that have been forgotten. Clean out a closet and donate gently used things to local charities to give them new life. Go dark for a day. Commit to unplugging from electronics and all non-essential appliances and devices for a day. Get back to basics and participate in some Earth Day activities that are completely environmentally friendly. Change your light bulbs. While changing a light bulb doesn’t sound like one of the most exciting Earth Day activities for adults, switching to CFL or LED lighting options can have a great impact on energy use. Patronize local sustainable businesses. Support the businesses who are supporting our earth. Research the environmental practices of local companies, and spread the word in your community about the ones which truly give back to the environment. Develop a company initiative. While one day of Earth Day activities for work is a start, think a little bigger. Create a recycling program, look for opportunities to reduce power consumption, or come up with other ways that can reduce your company’s carbon footprint all year long. Build a home or work recycling center. Organize your garbage disposal area to easily sort recycling as one of your Earth Day activities. For work, get permission to purchase the supplies needed to create a recycling station, and encourage coworkers to participate. Find a festival. Many communities host Earth Day festivals and activities. These events can be a great source of fun — plus give you lots of wonderful Earth Day project ideas. Educate yourself. Read a book, subscribe to a blog, watch a documentary, or attend a seminar that will help to educate you on environmental issues on which you aren’t up to speed. Go solar. Though converting your entire home to solar power might not be an affordable endeavor, changing outdoor lighting to solar options or purchasing a solar charger for your phone or other handheld electronics can make a small dent in your energy consumption. Organize a carpool. Carpooling is one of the best Earth Day activities. For work, errands, shopping trips and more, choosing to ride with a friend to reduce vehicle emissions and fuel consumption has benefits that add up quickly. Cut back on plastic. Walk around your home and see what kind of disposable plastics you are using and where they can be replaced with reusable options, then go out and purchase reusable water bottles, grocery bags and other containers while recycling the more wasteful options. Challenge your friends. Do your part to get your friends involved in Earth Day activities by issuing a challenge. Extend it for weeks, months and even through the year to see who can accomplish the most to give back to the planet. 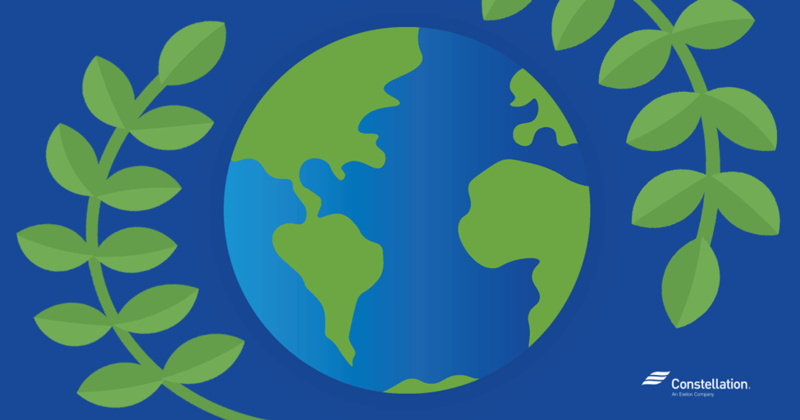 There are hundreds of Earth Day activities in which you can participate, all of which are important to making our earth a better and healthier place to live. We hope you’ll find some of our suggestions useful and celebrate Earth Day with us! Have more great Earth Day project ideas? Share them in the comments! Enjoying the great articles on your website.